Excited for the next recipe in the series? Here's what people pay the most attention to when it comes to skincare, the moisturizer. And of course, because this is the one that stays on your skin the longest! If it makes you too oily and ends up causing breakouts that would be terrible!! 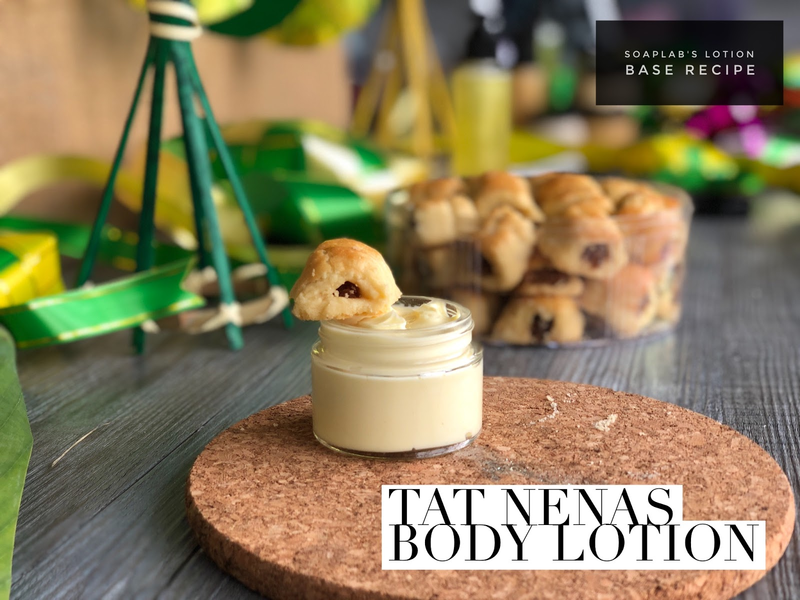 So in our Tat Nenas series, our focus is for oily skin here and we make sure that this cream will keep moisture locked in without clogging pores. We use some pineapple extract, which like in our previous series, is focused on its anti aging properties. The reason this is important is that skin that usually has flare ups tend to cause skin to age faster and we need to constantly fight this. Next some lemon essential oil. Lemon is well known in controlling sebum production in skin and unclogging your pores. It also brightens skin tone so that you'll look fresh and bright come Hari Raya! Our lotion base is jojoba, a non greasy oil but still moisturizes thoroughly. Always remember , the oil you choose needs to be suitable for your skin type!